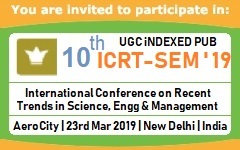 11th International Conference on Web services & Semantic Technology (WeST 2019) will provide an excellent international forum for sharing knowledge and results in theory, methodology and applications of web & semantic technology. The growth of the World-Wide Web today is simply phenomenal. It continues to grow rapidly and new technologies, applications are being developed to support end users modern life. Semantic Technologies are designed to extend the capabilities of information on the Web and enterprise databases to be networked in meaningful ways. Semantic web is emerging as a core discipline in the field of Computer Science & Engineering from distributed computing, web engineering, databases, social networks, Multimedia, information systems, artificial intelligence, natural language processing, soft computing and human-computer interaction.